Your search for an all-in-one IP voice and data communications solution for your small business ends here! 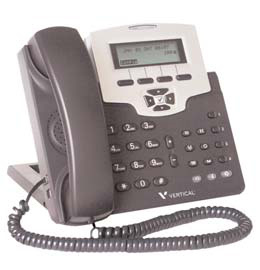 Vertical Xcelerator IP is a new category of communications product. Xcelerator IP integrates voice, data and wireless networking in one compact, affordable wireless device that can dramatically reduce communications costs for small businesses. Setup is fast and easy. One Xcelerator IP gateway can support up to 24 Vertical IP2007 IP endpoints plus additional office devices.